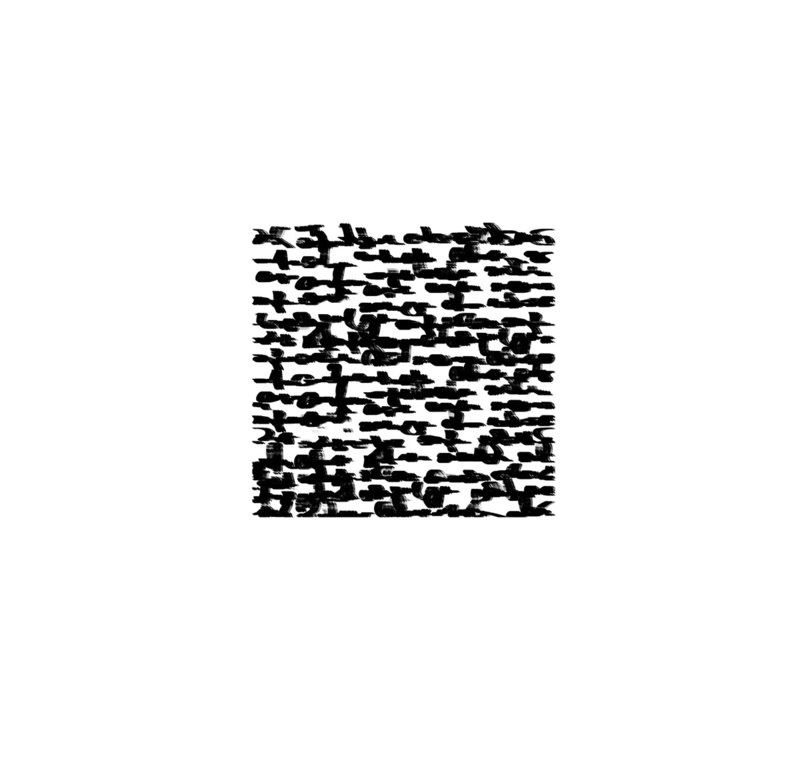 Federici has written a text of concrete poetry that extends itself all the way into asemic writing. Ultimately this book shines a light on the collapse of words and verbal communication, as if the concrete and the asemic were a swirling binary code unto themselves, living as a poetic thing, never dead but constantly being altered and altering the other. Yes walls collapse and so do languages. Writing systems disappear. Graffiti is painted over. The Berlin wall itself being the ultimate page and scar, leaving us with the question of what comes next now that the page is gone, and the asemic and concrete have run their course. 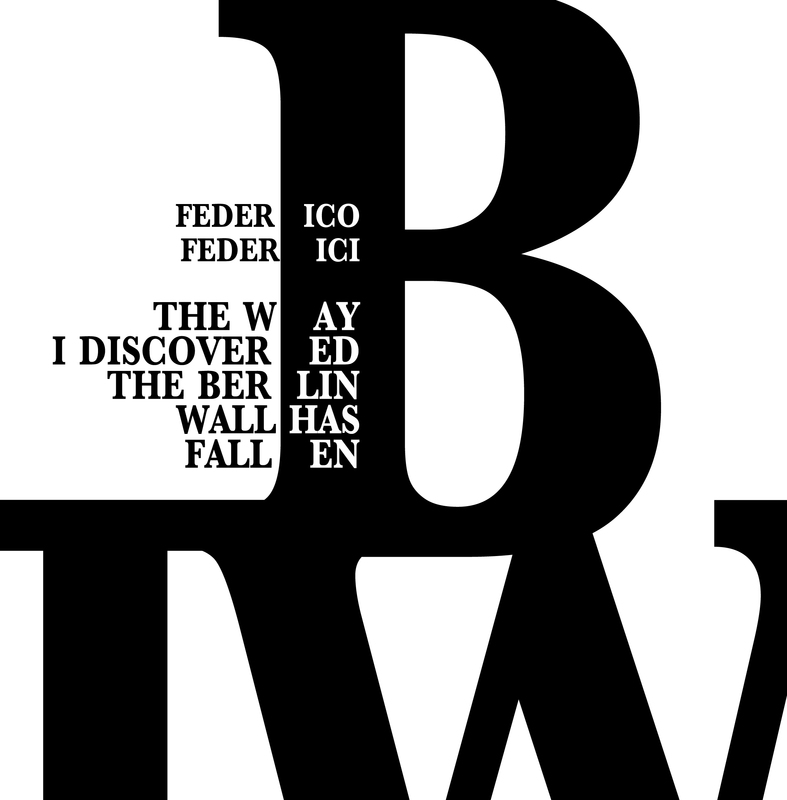 Federici’s book suggests that after the wall comes down we are left with a poetry heavy with mashed up typography and information. These are beautiful poems searching for freedom, and they document the duality of the physical natural world becoming digital echoes written on a computer. I am glad this book is a physical book; it gives me hope that writing will continue to strive for new forms of expression yet not forget its history and where it came from. I recommend this book to poets, artists, typographers, cryptographers, and anyone with an interest in asemic writing. Details about Echolalia in Script by Sam Roxas-Chua and The way I discovered the Berlin Wall has fallen by Federico Federici on The New Post Literate curated by Michael Jacobson. Over the almost three decades the wall stood in Berlin, it was referred to as Antifaschistischer Schutzwall by the authorities of the German Democratic Republic, a legitimate concrete curtain incubating the socialist state. While from the East Berlin side it soon became the dull edge of the death strip, from the West Berlin side it often served as a natural, urban canvas for politically engaged graffiti art, claiming freedom for all. When every ideology needs a precise vision of the world to be conveyed, these pages state a well pondered sense of annihilation rather than of revelation, avoiding any speculation on icons and mass culture. The debris of the wall are the latest generation of the wall itself. The Way I Discovered The Berlin Wall Has Fallen, Federico Federici, Morrisville 2017, ISBN: 978-0244930172.